When asked to autograph the Folio cover, Pablo added a bit of art for the American G.I. asking him. 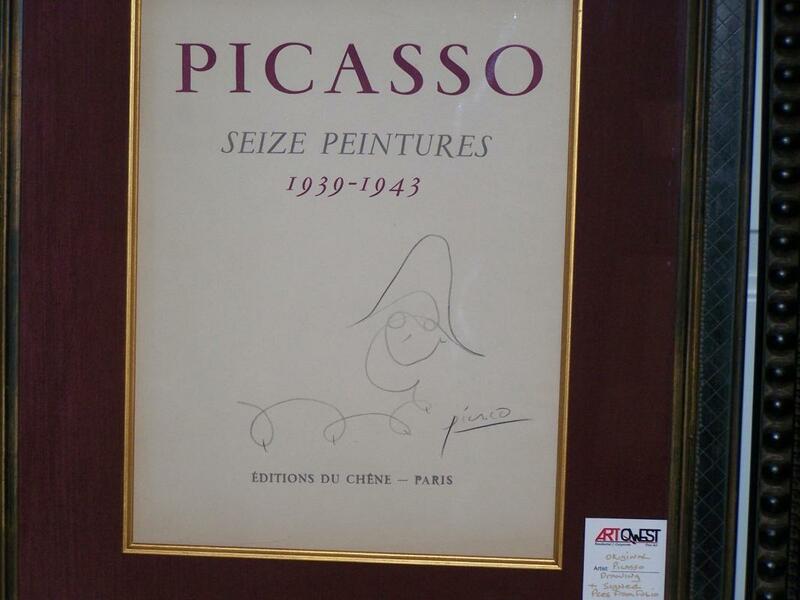 This cover was framed by le Monde Gallery when it was acquired in the 80's to protect it from more damage. A small tear about 1 1/2" is below the shown area Now offered to you, an Orginal Drawing and signed by the man himself. Five other lithographs that were in the Folio Seize Penditures are also on display only on Go Antiques.com. The buyer will pay all duties and/or fees. Shipping discussed at time of purchase.